The team over at Kelley Blue Book note that: “With improved looks, refinement, sportiness, safety and efficiency, the 2019 Kia Forte is now a better match against the Honda Civic.” Simply put, the new Kia Forte is set to become a class leader among compact sedans, and all you need to do is check out specs and features to understand why. What’s Changed with the New Kia Forte? The Kia Forte has always been a competitive compact sedan, but the latest generation is sportier and more refined than ever. The all-new 2019 model makes up to 147 hp for a smooth and responsive drive, and premium features come as standard. This includes Apple CarPlay/Android Auto, 8-inch touchscreen, automatic headlights, dual-zone automatic climate control, and more. Better yet, you’ll receive cutting-edge safety at no added cost, including lane departure warning, lane keeping assist, and forward collision warning. If you’re looking for the most forward-thinking model in the compact sedan segment, you’re looking for the Kia Forte. 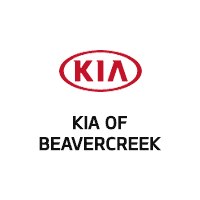 Simply contact us today to find out more, check out our selection of Kia accessories, or explore the latest new vehicle special offers.